The Clifton accessory range features elegant and timeless styling that will suit all traditional themed bathrooms. 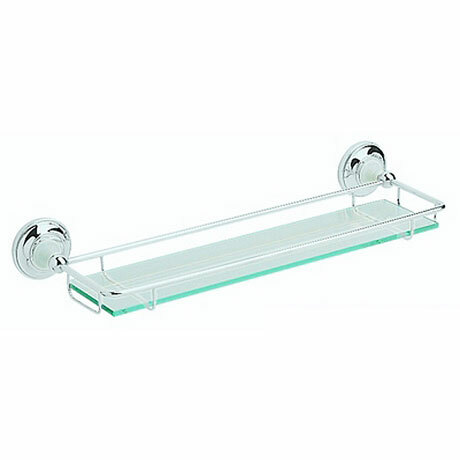 This glass gallery shelf offers an ideal storage solution for toiletries and shampoos and features a safety glass shelf. Manufactured from brass and finished in chrome. Comes with a 5 year guarantee covering manufacturing faults. Well designed and made - robust and easy to clean because the glass lifts out easily.